Mt. Israel, a 2300 ft peak in the White Mountains of New Hampshire, dominates the view in many parts of Sandwich. 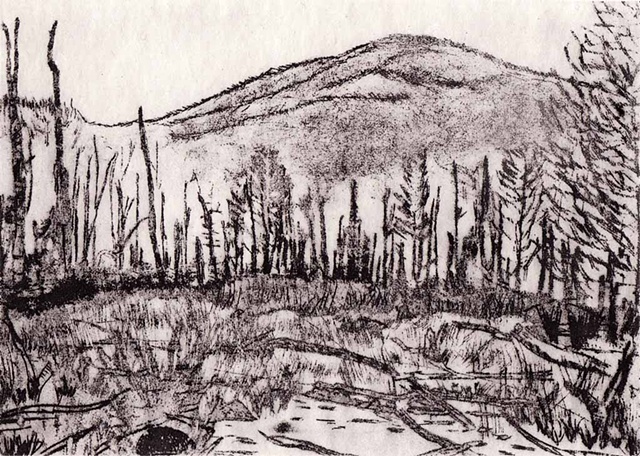 This print is based on a sketch of the mountain, viewed across a beaver pond near my home. Edition of 12.